Basseterre, St. Kitts, June 30, 2016 (SKNIS): Dr. Cameron Wilkinson, the Medical Chief of Staff at the Joseph Nathaniel France (JNF) General Hospital and recently appointed Acting Chief Medical Officer (CMO), has cleared the air on the regenerative medicine research project presently taking place at the JNF Hospital via a statement given on ZIZ Radio on June 29. At the core of the hype surrounding the Regenerative Medicine project taking place at the JNF Hospital, Dr. Wilkinson went on record to state that much of it stemmed from a breakdown in communication between the Permanent Secretary, Mr. Andrew Skerritt, and the pre-retired Chief Medical Officer, Dr. Patrick Martin. Dr. Wilkinson, in his statement, dispelled the notion circulating in the public domain that the pre-retired Chief Medical Officer was oblivious to the research taking place and that it was taking place without the requisite authorization. According to Dr. Wilkinson, under the former Douglas-led Administration, “the proposal was taken to Cabinet and approved.” He later added that the necessary arrangements were made to secure space to carry out the research. “A request was later made of the hospital executive to rent three rooms for the commencement of the clinic that would only serve foreign patients enrolled in the study, and there was never any plan to use local tissue products,” said the Acting Chief Medical Officer. After receiving confirmation to access and utilize three rooms of the private ward, the Executive of the Hospital, of which Dr. Martin was a part, was informed of the start date of June 13th, 2016. The Acting CMO highlighted his astonishment when he received a call from Dr. Martin asking of his knowledge of the commencement date. 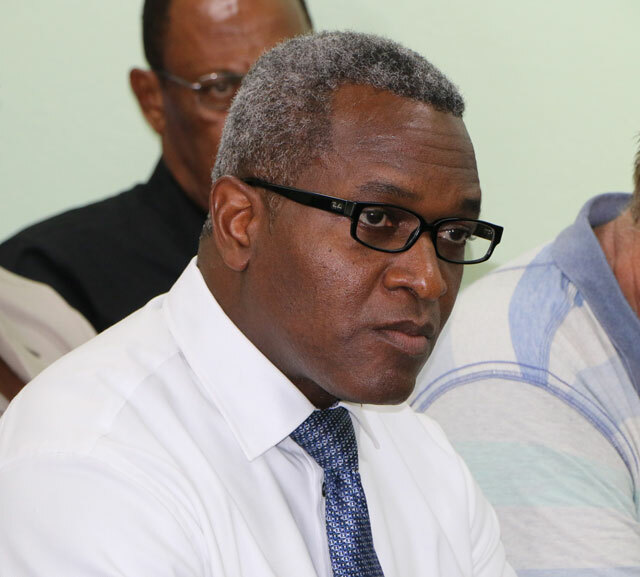 Dr. Wilkinson recounted a situation that occurred on June 13th where Dr. Martin stormed unto the premises of the JNF General hospital and demanded that surgeries being performed cease to continue. Dr. Wilkinson continued by suggesting that Dr. Martin’s actions were not in line with standard procedure and used the Statutory Rules and Orders of the health institution to support his claim. As Medical Chief of Staff with over a decade of experience and a certified surgeon of nineteen years, Dr. Wilkinson said once he was made aware of the situation, he handled it as he would have dealt with matters in the past. He said he gave the authorization for the procedure to continue with the best interest of the patients in mind. “I could not recklessly stop the treatment mid-stream and allow the patients to suffer,” Dr. Wilkinson asserted, “As physicians, we are guided by the principle of first, do no harm” (Hippocratic Oath). Dr. Wilkinson indicated that he dealt with what had turned into a crisis with utmost transparency and that having made a decision to have the procedure continued he informed both the Junior and Senior Ministers of Health who sanctioned his decision. Dr. Wilkinson used the opportunity to inform the public of other health projects of which Dr. Martin was aware and in support of.